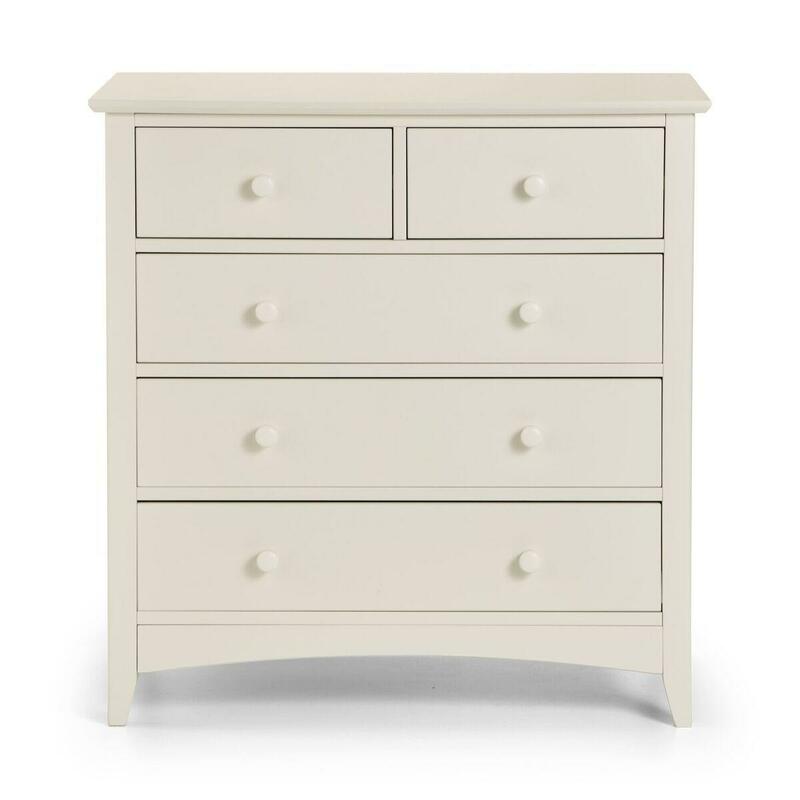 The Bellagio range is a beautiful take on the traditional shaker style bedroom furniture with a modern twist. 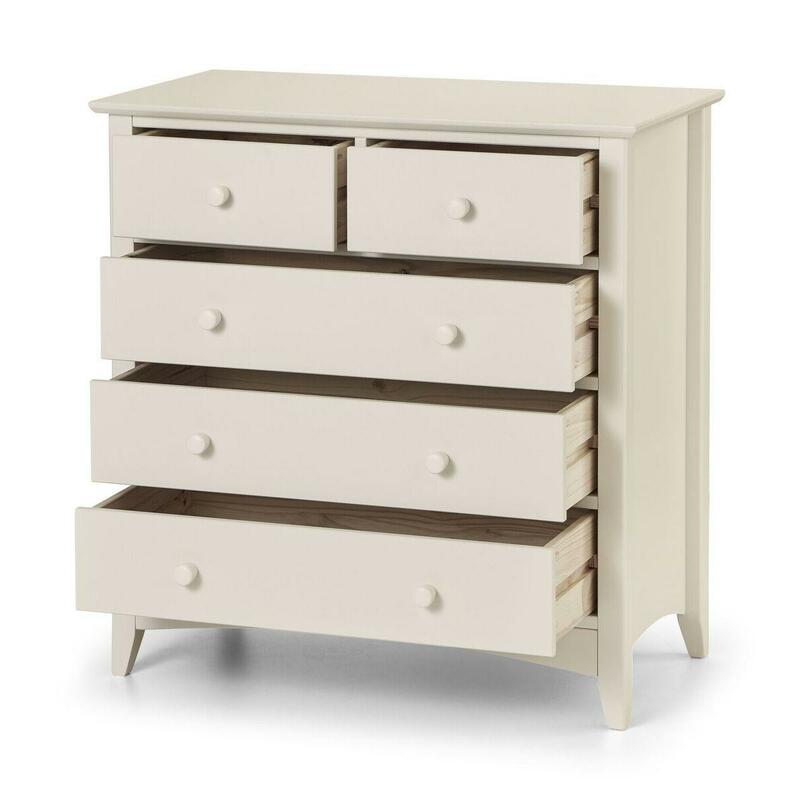 With a stone white lacquered finish, this range is the perfect addition to any bedroom decor with its neutral colour palette. 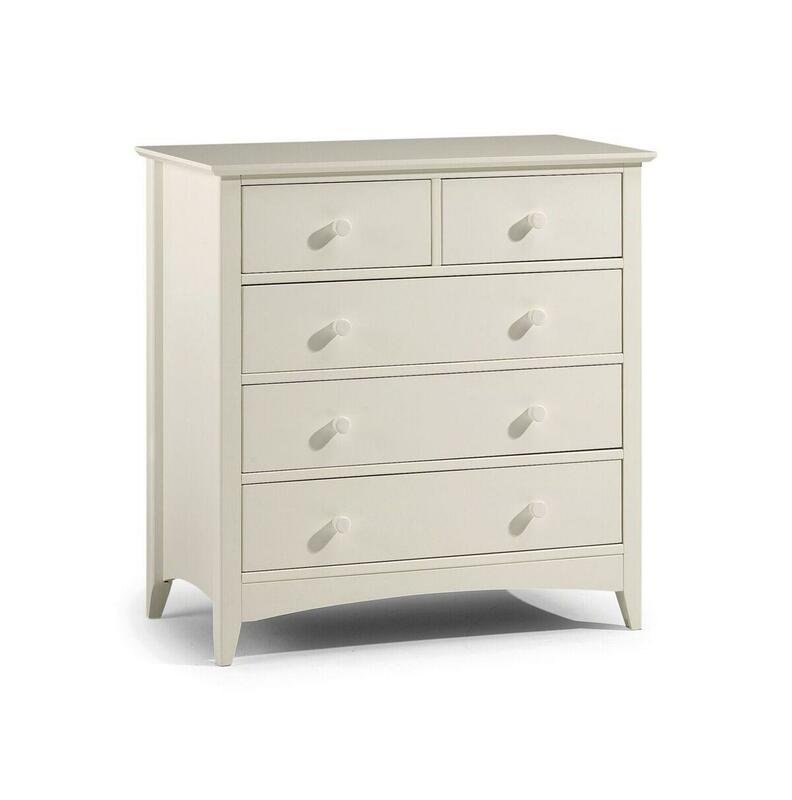 The Bellagio 3 + 2 drawer chest is made from sturdy pine frames for durability, with three larger drawers and two smaller drawers for great storage.